ScoreBing offers you the live scores of all football matches (MLS, MX League, NFL, Premier League, etc. 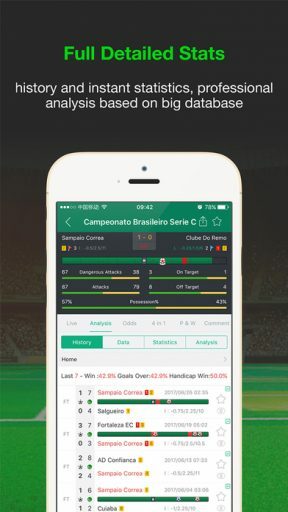 ), full history data (goals, corners, odds and fixtures), detailed statistics of all leagues and professional analysis to predict all soccer matches well. Join ScoreBing and Pick’em for a football match with millions of fans together. Become a great football predictor by Pick’em with us! 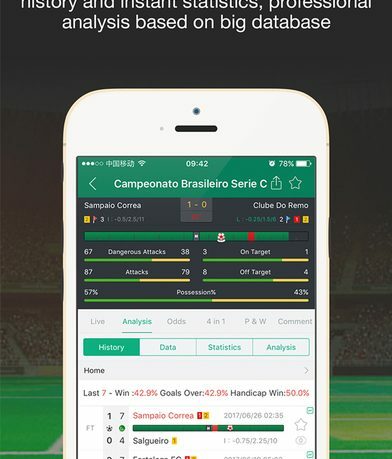 The ScoreBing app trains you to bet like the pros with less of the risk. Just create a login with a username and password or login using an existing Facebook account. The account is started with a level one status, though earning points will advance your profile to higher levels. Earn points by checking in, sharing the app, getting followers, etc. Going to the My Tasks area in your profile lists all the ways for easy point earning. Use your profile to post updates, edit your information, get coins and most importantly, manage your Pick’em. Use the points you earn as the wager when making your Pick’ems. The players of Pick’em will get ranked a weekly, monthly or quarterly expert if they do well. ScoreBing includes schedules of matches as well as stats, analysis, and even odds for each match up. 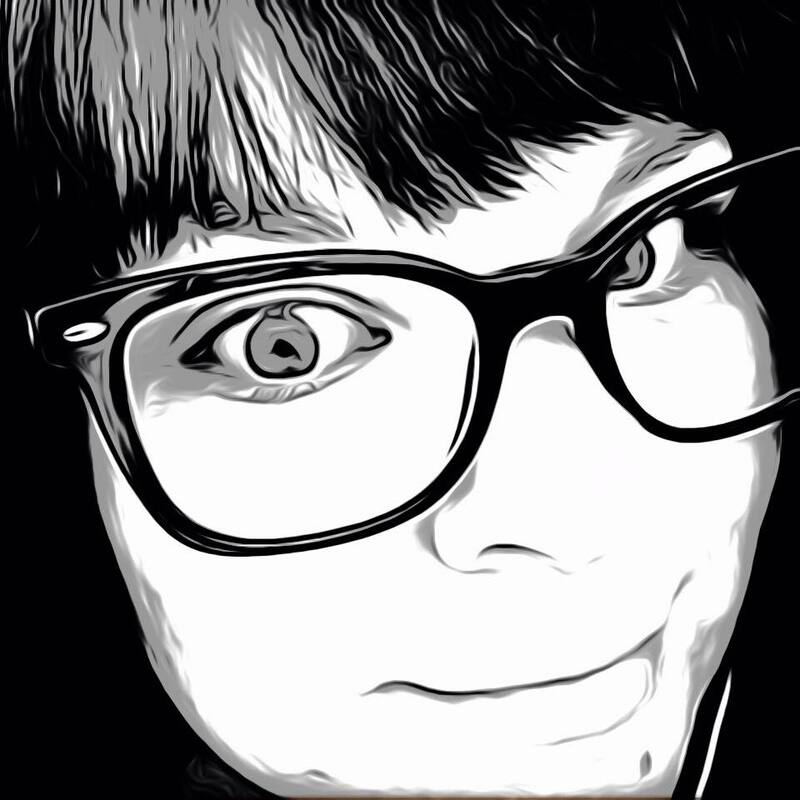 Sort matches by live, upcoming, finished, and even favorite matches you want to keep track of. This app is information overload for soccer fans. Anything from live scores and statistics to the latest news and analysis, ScoreBing has it covered. Not only that, but a community of fans to interact and enjoy the games with. Post a message to share with ScoreBing friends in Moments, see Pick & Win experts in the Hall of Fame as well as their rank in the Discover area. All of these features come with the free account, but if you want more, become a VIP to access even more privileges, including VIP live broadcasts, starred matches, and ad removal. Subscriptions for VIP access range from $13.99 to $139.00 depending on the amount of days or months purchased. For the most avid football fans, ScoreBing is THE app to have. The app is available now for free in the App Store and Google Play.